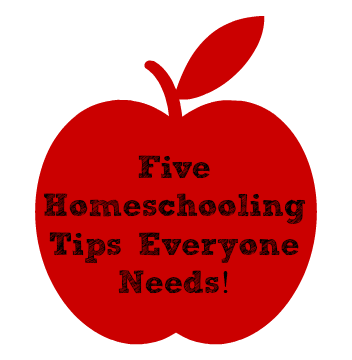 « Homeschool Advice from “Experts” and Others! 1. Fit The Curriculum To The Child, Not Vice Versa. You know your child, her special talents and her particular stumbling blocks, her courage and her trepidations, her needs, her indifferences, and her dreams. Bring this wonderful insight with you to every homeschooling day, let it color your every decision about what she needs to learn and when. Above all, remember that your child knows herself even better than you do, even though she may not always be able to express what’s going on inside her head. Listen, observe, adjust, and prepare to sometimes change direction totally as she grows and changes. You surely want to preserve, or reawaken, as the case may be, the boundless curiosity and zest for learning that so dominated your child’s character when he was a toddler. Remember how he would shake, rattle and roll whatever he found until his curiosity was sated, and then he was off like a shot to tackle the next challenge? He also knew enough to quit when he was overloaded, and he would let you know, sometimes at the top of his lungs! Recapturing that undiminished drive and fearless approach to finding out is an educational prescription for our times. We’re so often told these days that one must become a lifelong learner to keep up with our fast-changing world. To be a lifelong learner, one must have skills, energy, and desire for learning – to be a toddler at heart! 3. Homeschooling is More Than “Schooling at Home”. You know that when learning is made to be drudgery, it is seldom truly learned. Rote instruction, especially when combined with harsh criticism and humiliating comparisons, dissipates energy and kills the desire to learn. Avoid, if you possibly can, duplicating the worst failings of institutional schooling in your homeschool. Homeschooling is about preserving the fragile and wonderous spirit of our children. Homeschooling gives you the freedom to be in all ways more personal, more lively, more attuned to the needs and interests of each individual. 4. More Than An Educational Choice, It’s a Lifestyle. Your homeschool should also correspond to who you are as a family. Your deeply held values and beliefs, your vocations, geography, and living space, your daily, weekly, and annual schedules of work, relaxation, and play – all these elements are yours to shape and control as you design your child’s learning experience. 5. Your Homeschooling Style Will Develop Over Time. Families new to home education typically stick pretty close to the shore at first, using traditional materials and a structured schedule because formal “school” is all they know. For some, it continues to be what is right for their families, and for others, after some months or perhaps even years of experimentation and adjustment, they may start leaning toward more spontaneity, less structure, and fewer conventional teaching materials. As you search to find what suits your family in the vast array of curricula and materials, don’t be afraid to make some unconventional choices. 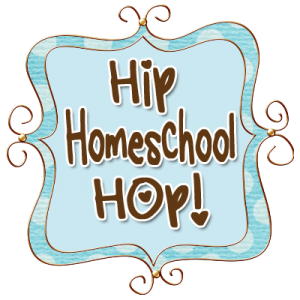 Enjoy the freedom and flexibility that homeschooling affords you. Trust your own sense of what is right for your child. Some final tips from old-timers. There is no such thing as the perfect curriculum. Don’t panic about choosing a curriculum. The rule of thumb is that for every year your child has been in school they need one month to decompress. Use that time to decide on your educational philosophy, learn about your child’s learning strengths and evaluate some of the available resources. Curriculum choices change as your children grow up, change interests and develop educational goals. You will make mistakes. You will buy materials that you later wish you hadn’t. Making mistakes is part of the process. The corollary to that is that you will make some great choices that work well for your family. Some resources are perfect for one child and disastrous for another. Be sensitive to learning styles. Curriculum is a tool, not an obligation. This does not mean that you should not set goals, but be willing to be flexible. Don’t write your lesson plans in ink. Don’t be a slave to your curriculum. Adapt. Enhance. Keep an eraser handy. Involve older kids in planning: What do you see yourself doing in 2 years? 5 years? What have you always wanted to do that you haven’t had the opportunity to do yet? If nobody tells you what to do, how will you spend your next week? Month? Note from Karen: These wonderful tips are from The California Homeschool Guide, an out of print book that I compiled and wrote for California Homeschool Network many years ago. They were written by some successful and experienced homeschoolers who shared their best ideas! Written by Karen Taylor, posted on 14 August 2013 at 9:40 am, and filed under New homeschoolers, Unschooling. Bookmark the permalink.